The Global Commission on Drug Policy (GCDP) has produced a report in which it is critical of anti-drug strategies pursued by Colombia, declaring punitive and prohibitionist policies a failure and suggesting a move towards legalization and regulation. Released on Tuesday, the report outlines seven recommendations on how to improve drug policy around the world, encouraging the world to take advantage of the 2016 United Nations General Assembly Special Session to implement these changes. Decriminalizing possession and consumption of drugs are part of strategy recommended, in addition to finding alternatives to incarceration for “low-level participants” in the drug trade like farmers and couriers. In a section entitled “Counting the costs of over have a century of the ‘war on drugs,'” the report mentions that part of Colombia’s anti-drug policy from 2000 to 2007 involved the spraying of toxic chemicals in an effort to eradicate illicit crops. “Despite their destructive impact on livelihoods and land, the number of locations used for illicit coca cultivation actually increased during this period,” the report said. The report also quotes the Latin American Commission on Drugs and Democracy’s 2009 report, which claimed that “[f]or decades, Colombia implemented all conceivable measures to fight the drug trade in a massive effort whose benefits were not proportional to the vast amount of resources invested and the human costs involved. Alcohol, tobacco, and other legal forms of drugs are said to be helpful models. 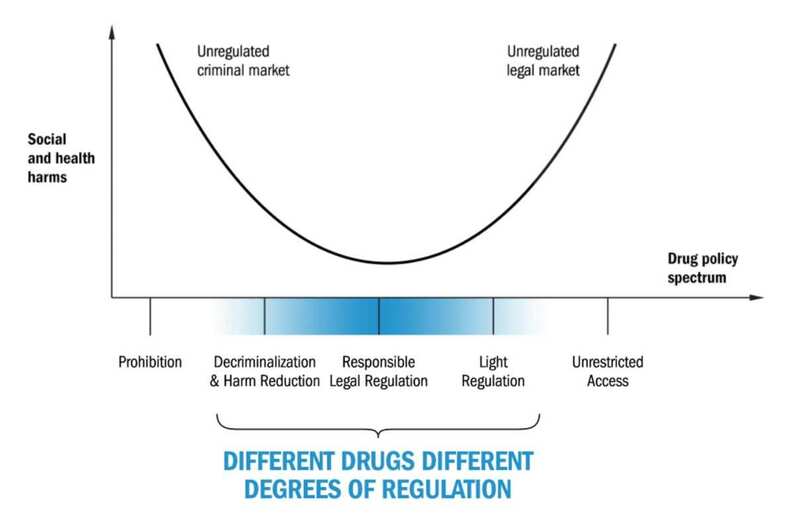 As opposed to a completely prohibitionist approach or a totally unregulated legal market, the report suggests a middle ground in which legal drugs are available with government regulation. GCDP’s members include: Kofi Annan, former UN Secretary-General; Cesar Gaviria, former President of Colombia; Mario Varas Llosa, a Peruvian writer and intellectual; George Schultz, former United States Secretary of State, and other former diplomats and government officials.